Close collaboration with the interior designer, Keith Lang, in partnership with Ingersoll Architect, PLLC, allowed the team to maximize a minimal amount of space at this luxury residential building, in Brooklyn’s Williamsburg neighborhood. 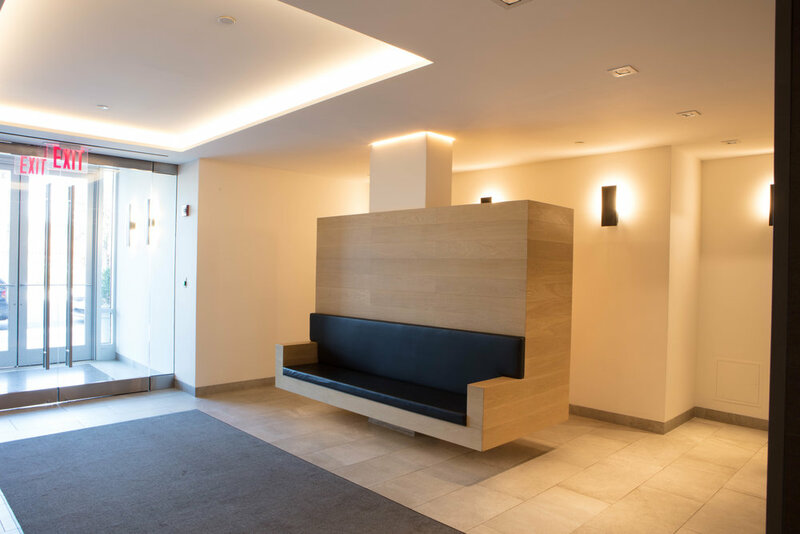 A glowing ceiling cove works as the premiere light source, while the front desk and mailbox areas are highlighted as key features. We relied heavily on recto-linear lighting to compliment the interior's clean lines and modern feel.